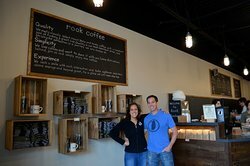 There aren't enough food, service, value or atmosphere ratings for Rook Coffee, New Jersey yet. Be one of the first to write a review! The New Orleans style is my favorite! They can accommodate with many types of milk and sweeteners. They can make both hot and iced coffee. And even sell the concentrate iced coffee for home. 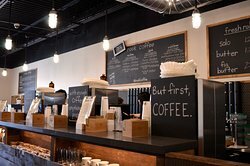 Coffee and service is really great. Flavor of Sumatra coffee is really great. The biggest drawback is the close at 5 pm. So go early and often. Love the the service here- always friendly. The coffee options are delicious. They may actually be better than starbucks. Just wish they had seating inside. Get quick answers from Rook Coffee staff and past visitors.